Ahana Deol-Varun Vora's wedding ceremony turned out to be a star-studded affair with all Bollywood bigwigs and bollywood fashion in attendance. 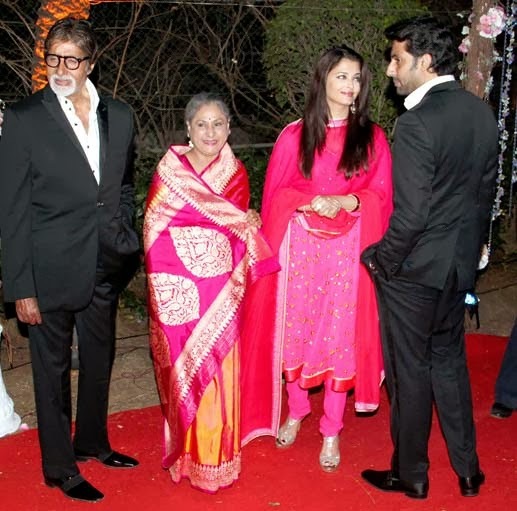 Apart from the entire Bachchan clan, popular stars Rekha, Shah Rukh Khan were also spotted. If sources are anything to go by, Ahana met Vaibhav at the wedding of Esha Deol and Mumbai-based businessman Bharat Takhtani in 2012. Since the two were serious about their commitment to each other, their families gave their consent.